We’ve touched on the concept of edge blending before, but have never dived too deeply into the subject matter. 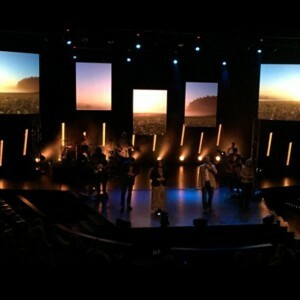 At it’s basic form, edge blending occurs when you combine (overlap) the edges of two projectors in a multiscreen setup. 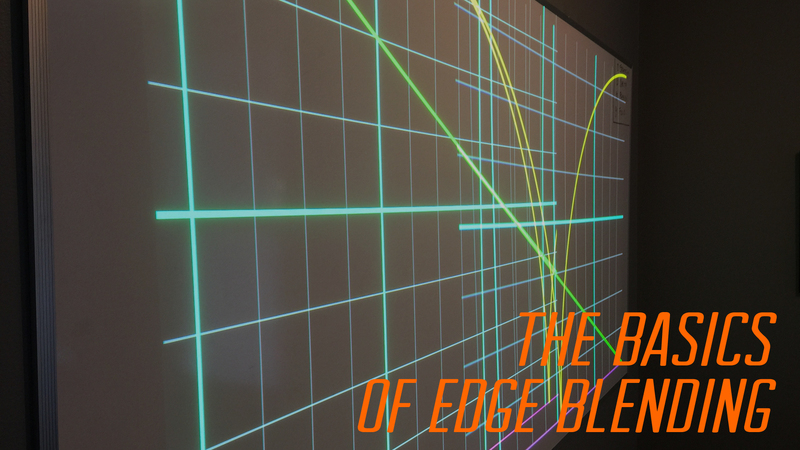 There are numerous ways to handle edge blending including software, hardware, and physical applications. We have used all three with varying results. 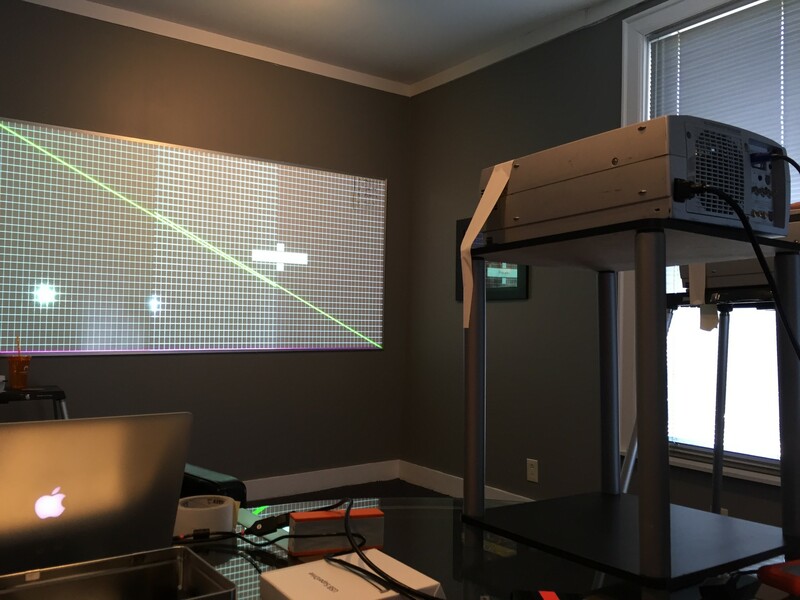 Simply put, when you have two projectors lined up next to each other creating one solid image, you will never be able to create a seamless edge without edge blending. 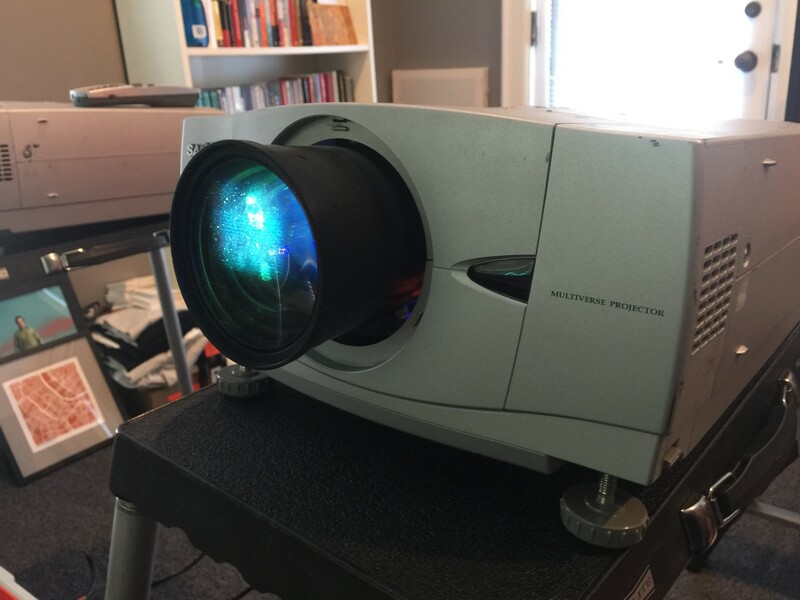 When you place two projectors side by side, the human eye will notice the edge, the mismatched colors, and the split or overlap of the images. Much like when you paint a wall, you always overlap your strokes to get as even a coverage as possible. Essentially, this is what edge blending will accomplish. So, how does edge blending really work? There’s basically two processes. The first is basically just overlapping two images. 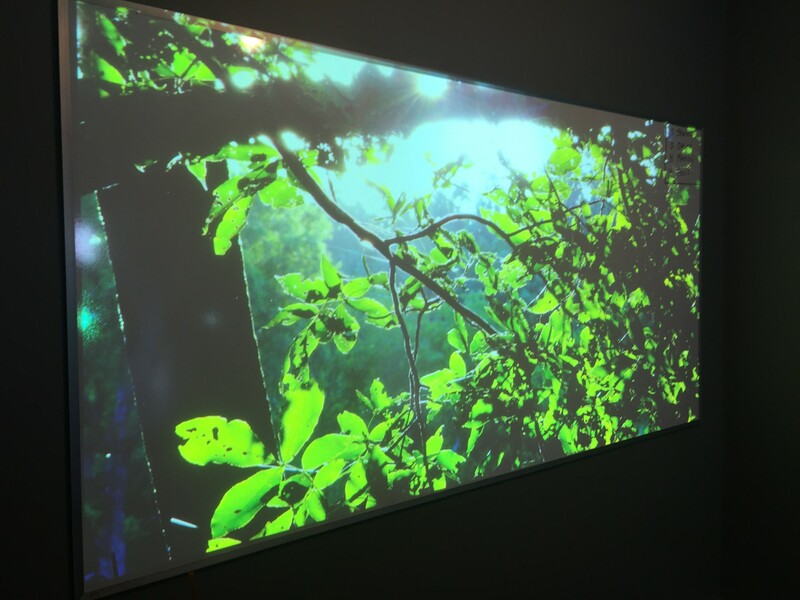 Essentially you send the same portion of your image across two projectors. This overlapping gives you a larger area to match up which eliminates the hard edge you’d see if you simply placed the two images side by side. The second part of the process involves feathering the images to eliminate the “hot spot” that is guaranteed to occur. If you have two images side by side and the middle 20% is doubled, obviously that portion is going to be brighter than the rest of your image. In order to blend it together, you need to reduce the brightness in addition to matching the image. 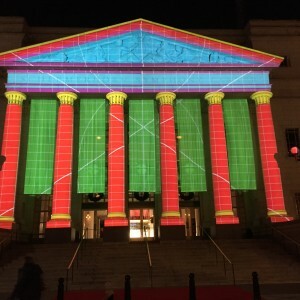 We have talked at length about environmental projection here on the blog. Do you NEED to edge blend with EP? Not necessarily. Typically with EP you are looking for natural intersections in your environment to align projectors to in order to avoid these hard edges. 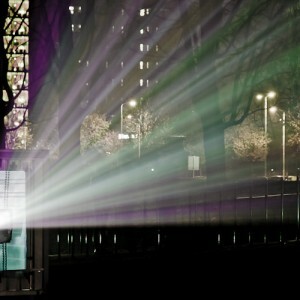 A corner where two walls meet, a column, a scenic element, or anything else that can hide the spot where your projectors meet is what you’re looking to find. However, if you have a smooth wall or surface you;re trying to create an EP environment upon, you’ll want to consider edge blending. This seems like a given, but you can’t edge blend without projection. 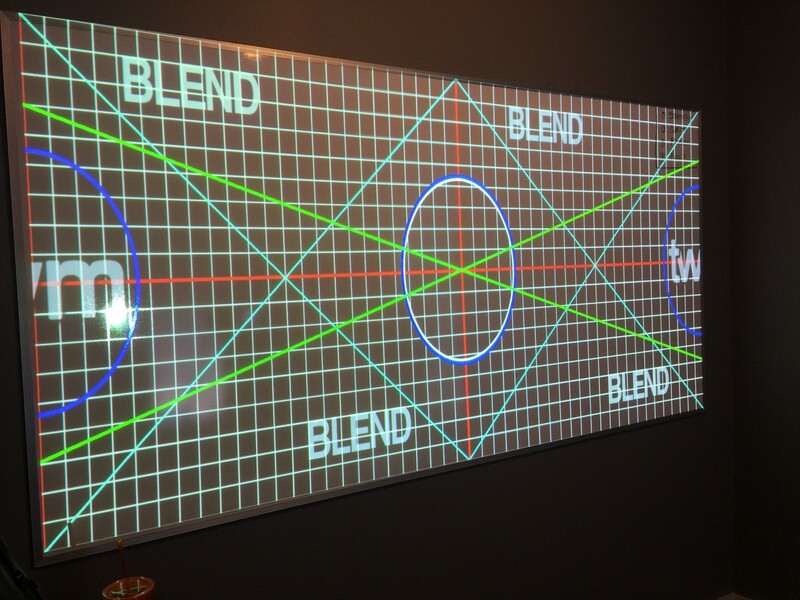 There are some projectors that have built in edge blending abilities and others that have edge blending attachments. However, there are some great software options out there as well. Whether you have or go with projectors with built in or add on edge blending options or a software choice, you’ll need to be sure you have an option for edge blending. 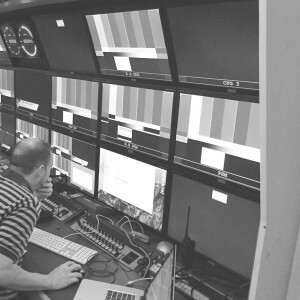 Many of our users go with ProPresenter which has a great edge blending module that facilities edge blending with any projection setup. Don’t worry, we’ve got you covered here! Every single product comes with SD double wide versions included! And, every HD product includes an HD double wide, perfect for edge blending applications! 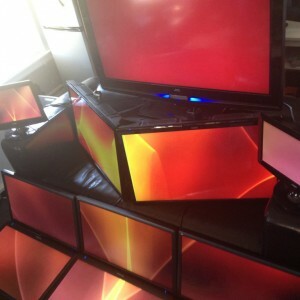 So regardless of your setup, size, or equipment, know that your content is taken care of for you. 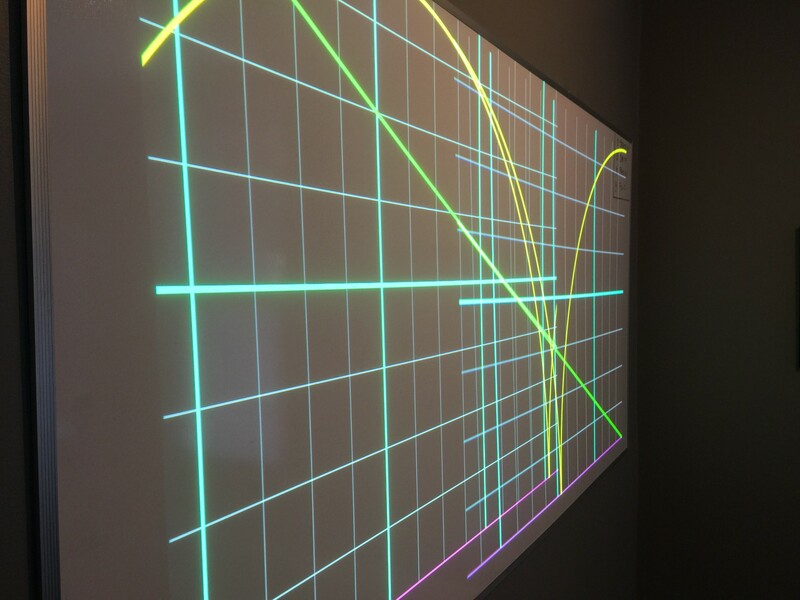 Recently, we setup a couple of projectors in the office and did a very simple edge blend on a white board. Check out the pics below to see the process.